When strolling through the online casino scene, it’s pretty standard to see massive welcome offers used as a hook to get new members on board. Sometimes we get so impressed (read: greedy) that we don’t even read the fine print to check exactly how generous the offer really is. Or isn’t. While as a player I certainly appreciate getting tons of gifts when joining in, I also like to feel the casino appreciates my presence and cash on an ongoing basis. Yes, I want them show me the same amount of loyalty as I’m showing them, especially when I’m a high roller. If I’m boosting my balance on regular basis and with respectable amounts of cash, I want to feel important. And so – the VIP programs. Now, some of them are called that but are basically loyalty schemes, a club to which you gain access as soon as you register. Bigger and better perks await on higher levels, but we’re all free to walk in. Depending how high one manages to climb, a VIP title may be awarded. Other casinos separate the two, featuring a premium VIP club which is by invite only. The latter certainly appeals to high rollers and is aspirational for the rest of us. Bet if I won one of those multi-million jackpots, they’d all be all over me to join! Would I be interested? Depends on the perks, so let’s see what’s on offer…. 6. EU Casino offers VIP Lounge benefits for everyone, though it’s the three top levels of the 6-level ladder (Platinum, Diamond and Red Diamond) which come with true VIP perks. More than 2,000 comp points are needed to become a Platinum member, meaning you’ll need to wager between €40,000 and €320,000, depending on the games you play. Hitting one of the three top levels makes you eligible for larger bonus offers, personal VIP account manager, invitation to exclusive events, cash back for testing new games, monthly free bonus awards and faster payouts. Once you do become a VIP, make sure to protect your status. Assessment of VIP levels is made on monthly basis, but even if you drop, you can only go down 1 level per month. 5. 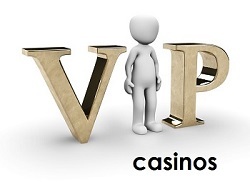 Joining the VIP service at William Hill Live Casino is by invitation only. You’ll receive an invite (or not) based on your activity (meaning you need to enjoy their tables on regular basis), level of play (VIP service is designed for both higher-stakes and frequent players) and loyalty. The Club offers different VIP levels, each with its own range of benefits which include “prizes fit for VIPs”, an exclusive range of tables, invitations to exclusive online and offline events, and a personal VIP account managers who’s there to cater to your every need. They will provide you with reduced transfer fees and lowered wagering requirements and also surprise you with special offers. 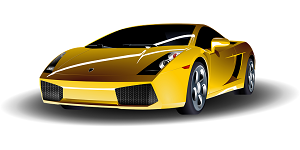 You’ll benefit from a monthly cash back bonus, and other unspecified VIP rewards, and get to attend “the hottest events in the social calendar”, such as high-profile race meetings, concerts, Premier League football matches and more. Other benefits include personal service from the Pitboss team via Live Video Chat and exclusive high roller tables for roulette and high roller blackjack. 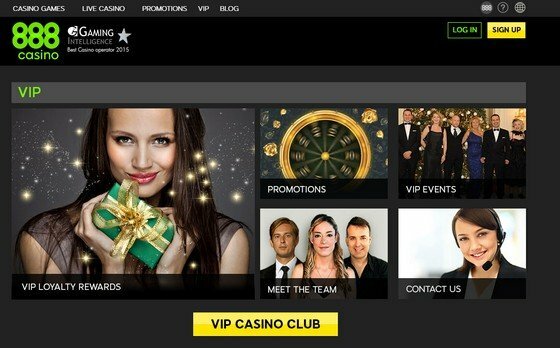 If live casino is your preferred choice when it comes to choosing your casino VIP club, William Hill is bound to make you feel special in more ways than one. Be sure to look out for increased betting limits on slots – William Hill are one of the few online casinos to offer high roller slots games. 4. Leo Vegas features kind of a mystery loyalty program where you ‘re not quite sure what you’ll get and when. There are 99 (!) levels in total, with your VIP level determined by the amount you have wagered. A bar displayed within the main menu shows you your progress so you can always check how much further you need to go to reach the next stage. When you climb high enough, you’ll start receiving invitations to VIP exclusive events, enjoy the support of a dedicated account manager, personal payment and withdrawal service, various birthday rewards, exclusive bonuses and a monthly VIP prize draw which awards treats such as the latest Apple products. Getting to level 30, for example, means you’ll stop getting charged when withdrawing cash and will receive your money faster. The nearer you are to the top, the bigger the bonuses and the cooler events you’re invited to participate in. As testified by one of Leo Vegas VIP members, the service offered gets really personalised. You’ll likely have your account manager ask what kind of bonus you want to receive on any given day. For example, they will give you a choice of taking cashback, a deposit bonus with low wagering requirements, or high-value free spins on your favourite slots. Having someone address your personal preferences in such a way is guaranteed to make you feel appreciated. 3. Accessible by invite only, the 888 VIP Casino Club offers VIP rewards and service to their elite and most loyal members. They’ll get an access-all-areas VIP pass to a lavish world presented through a dedicated web page for VIPs. Reaching the first of the three levels, members receive a special one-off bonus just for becoming VIP, increased deposit limits, and a weekly appreciation reward. They also get to participate in VIP promotions which award hi-tech gadgets, TVs, laptops, jewellery and weekend getaways. The list of perks goes on to include invitations sports events, concerts, city breaks and luxury holidays, additional bonus offers and your very own personal account manager. You’ll be able to play at VIP High Stakes tables, benefit from 50% higher conversion rate on comp points, have access to an exclusive VIP support team, receive birthday gifts and participate in the Monthly Lucky Dip prize draw. VIP Gold members (second level) additionally benefit from faster cash-outs and 33% higher comp point conversion rate than the first level VIPs. To be considered for VIP Gold membership, you’ll have to attain a total of 300,000 bonus points. If I’m not mistaken, €10 wager earns 1 point, so it’s easy to do the math. Yes, you’ll need to spend some money while gaming, but look at the rewards! When you become VIP Platinum, everything gets bigger and better, cash outs super-fast and you also get to collect the yearly casino anniversary bonus. As an 888 VIP Casino Club member, one gets exclusive access to not just one, but all three of 888’s brands, namely 888casino, 777 and 888games. At each of these you’ll get treated to various hospitality events, first-class promotions and personal account management who’ll look after your unique needs. 2. 32 Red Casino is home to Club Rouge, claimed to be the very best and exclusive players’ lounge which provides special promotions, awards additional loyalty points, offers customised play-through requirements and delivers gifts and exclusive offers to Club Rouge members. You need to be invited to join, though if you haven’t received an invitation but believe you are eligible for membership, you can email Club Rouge Player Support Team. As a general rule of thumb, only players in the Platinum loyalty tier will be considered. To get to this level you’ll need to accumulate 10,000 points, followed by further 5,000 points on an ongoing basis to make sure you stay there. As a Club Rouge member you’ll be earning more Red Rubies (loyalty points) than regular players and game contributions will be set higher. Additionally, unlike standard players, VIP Club Rouge members can exchange these little gems for cash which comes with no wagering requirements – just cold hard cash added to your account, the way we like it. Other perks include enhanced deposit bonuses and a personal support service. If you log into the casino on your birthday, they will award you 5,000 Red Rubies which can instantly be redeemed for £50 cash. 32 Red will additionally celebrate your birthday with a 200% match up to 500 free chips. Every month, one lucky Club Rouge member will receive two bottles of the finest champagne (yay, I love a glass of good champagne! ), with either four Cohiba Esplendido Cuban Cigars or the finest chocolates (damn, tough choice). Special events also take place on monthly basis, including the handing out of free chips, deposit bonuses and other rewards, or additional Red Ruby bonuses. Pretty generous, I can’t deny. 1. 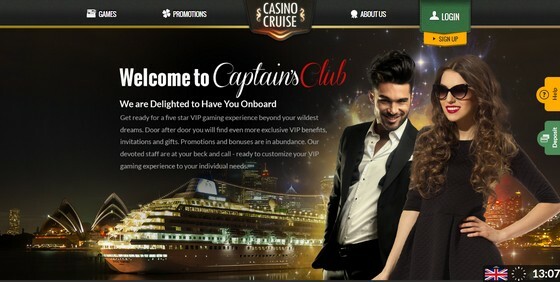 Captain’s Club at Casino Cruise promises to deliver a five-star gaming experience “beyond your wildest dreams”. I don’t know, guys, my dreams can be pretty wild… Anyway, each time you play, you’ll be earning loyalty points, and once you’ve accumulated the required amount (not specified), Casino Cruise VIP department will contact you to extend an invitation to join. When they unlock the door to this prestigious club, you’ll get welcomed to the Deluxe Suite, President Suite or Royal Suite. Each will deliver premium customer service, personalised email support, exclusive weekend promotions, birthday bonus, anniversary gift and up to 12 hours response time (the latter doesn’t sound too VIP to me, but there you go). On top, President Suite provides a welcome gift (I love surprises! ), ensures express withdrawals, and delivers personal cash back offers and a personalised bonus plan. Making it to Royal Suite, you’ll get invited to exclusive VIP events, be able to withdraw higher amounts than mere mortals, receive special gifts and get pampered by a personal account manager. Casino Cruise promises to make sure that, port after port, you’ll find more exclusive VIP benefits, promotions, bonuses and gifts. Not all online casinos feature a loyalty program and quite a few of those who do, create a list of intangible benefits which are basically marketing talk. When choosing who to grace with your regular visits and where to invest your cash, make sure it will be appreciated. After all, there is a huge choice of online gaming establishments and they need to provide darn good reasons for you to join and then keep coming back. When evaluating them based on their VIP programs, check how personalised the offers are. Surely, if you’re wagering hundreds of thousands, you’ll want the casino to address your personal needs, rather than serve one-size-fits-all proposals. These are the UK casinos currently offering the highest high limit blackjack stakes. Please note that some of these high stakes blackjack games require a minimum balance of £6,000 and only run after 5pm. Are you spending tons of money playing at an online casino, showing up regularly, making large deposits and wagering high amounts? If so, you are definitely a VIP player and should be treated accordingly. Land-based gambling establishments offer VIPs special treatment in the form of complimentary rooms, free food and drinks and a personalised approach consisting of special offers, preferential payment terms and more. So why should it be any different when you’re playing online? As brick-and-mortar casinos will require that you build a certain reputation by playing before being admitted to their VIP club, so will the ones that function online. Some of them will set specific requirements which you have to meet to claim a VIP player status, while others will monitor your gaming behavior and extend an invitation once they judge you can roll with their other VIPs. Quite a few will want to steal you away from the others, inviting you to contact them and request VIP membership if you already hold the same status at one of their competitors. Once the door finally opens, they’ll shower you with many exclusive and customised treats. So how to choose the club you want to belong to? Obviously, as a VIP, you expect and deserve a five star treatment, red carpet rolled out each time you show up to play. You want the finest rewards and treatment which show your presence (and cash!) are highly appreciated. In order to judge whether it will be so or not, use every source of information available when considering a new online environment to play at. A good selection of reviews is available on the internet, and forums can be a great place to check the experience of other fellow VIPs. Online casino webpages offer different amount of information on their VIP programs and sometimes they’re not easy to access. Contacting the support team directly is always a good idea, as it will allow you to learn the specifics about what’s on offer and how to get in. Once you do, compare and choose the VIP program which will treat you like an important person that you are. If I feel important, I certainly don’t want to be treated like I’m one of the many. My gaming behaviour makes me different to millions of others spinning the reels of an online slot machine or drawing cards at a virtual poker table. So, if my game of choice is Baccarat, don’t serve me offers which I’d benefit from only or mostly when playing slots. If I’m depositing tens of thousands, I’m not likely to be attracted by a bonus limited to hundred euros or less. If I’m winning hundreds of thousands, setting my withdrawal limit to £10,000 per month is bound to piss me off. Get to know me and modify your approach accordingly – that’s what I’ll appreciate the most when it comes to VIP club membership. Of course I want to collect more freebies. What does it matter if I have more cash in my pockets than 90% of other online gamers? I always look for the best possible return-on-investment, regardless of which area of life we’re talking about, and will do the same when gaming. While less tangible advantages are more than welcome, let’s not kid ourselves. Cold hard cash is and always will be high up on my priorities list, and I’ll bet (at a high-stake table) that it’s the same for you. So bring them on, more regularly and higher in value. The real treat? X hundred percent no-rules bonus, with no play-through requirement and no max cash-out. I’m not making this up, it does exist! Collecting points is often the way an online casino will classify their players and decide who and when gets to become their VIP, and even degrades them to lower levels should the required number of points not be continuously met. Ok, so I’m playing for cash on regular basis and betting high amounts, meaning I don’t worry about getting and staying there (though I’d not be a happy camper should the casino decide to decrease my benefits after, for one reason or another, I could participate in a lesser degree than I normally do). What I do want to see, though, is that I can use my points better than the rest of the world. First and foremost, that means better redemption rate. If an occasional gamer gets to trade 100 of their points for €1, I want to be able to collect the same amount for 60 points or less. Perhaps I can afford to buy the latest Apple product or a hi-tech gadget, but it doesn’t mean I will not appreciate receiving one as a gift, courtesy of my favourite online casino. People give gifts to those they care about, and they offer them as a way to say thank you. I want my casino to show they care and thank me for choosing to indulge my gaming passion at their particular establishment. 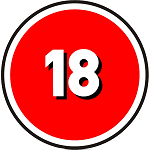 Birthday gifts, anniversary gifts, rewards for passing a certain threshold – all highly welcomed! One of the casinos I checked out recently awards monthly one lucky member with two bottles of the finest champagne, and either four Cohiba Esplendido Cuban Cigars or the finest chocolates. I’d most definitely never say no to good champagne, would you? The same establishment also provides special monthly events during which the casino is handing out free chips, deposit bonuses, additional loyalty points and other rewards. Being a VIP normally means you get to enter where others can’t. If you treat me by opening the door to a tournament which is not accessible to general public, I’ll feel special. Invite me to a sought-after event, and I’ll happily attend or at least use it as bragging rights. Facing a choice of high-profile race meetings, concerts, theatre shows, Premier League football matches and luxury holidays at some of the world’s top destinations, it’s likely I’ll find something that will appeal to my tastes and preferences. Offer me an exclusive range of tables so I can play with other high-rollers and, in short, hand me a VIP pass to enter where others cannot, and you can be sure I’ll stick around for a while. This is not only a matter of prestige, although a VIP will appreciate having a dedicated person looking after their needs. A personal account manager means you’ll never have to wait to get assistance and they can provide a fully personalised offer based on your gaming style. Instead of one-size-fits-all promotions, they will ask you what kind of bonus you’d enjoy the most, and deliver it. Not into free spins, but love deposit bonuses? No problem! You’re ready to deposit a higher amount but want your bonus to come with lower wagering requirements? It can be done! You’ve had a bad day and lost a substantial amount? How about a personal cash back offer to help ease the pain? Working closely with you, a personal manager can develop a completely personalised bonus plan which is yours and yours alone. Once you have that, will you even think about doing your gaming elsewhere? If I’m wagering higher amounts and playing high-stake tables, chances are I’ll hit some substantial wins, at least occasionally. When that happens, I don’t really want to be paid out over the next 12 months, I want all of my cash in one go. And so will you. So while talking to the casino in question, check if adaptable withdrawal (and deposit!) limits are part of VIP perks. If it’s the case of “VIP elsewhere, VIP here”, negotiate them immediately. Often you’ll find that reduced processing time is already a benefit stated within the VIP benefits overview, but if it’s not, check that as well. Releasing your cash within hours rather than days is doable and really only up to account managers and/or casino managers. As I already mentioned, in some cases becoming a VIP means you’ll stay a VIP for life, and in others you have to keep earning that right. And as stated, if you’re a true high-roller, chances are you won’t care. You’ll be showing up on regular basis and betting high as you’ve always done. But it could happen that for a period of time, a month, two or three, you might not be able to indulge in gaming as much as you’d like. Does that necessarily mean you should be dumped? It’s kind of like being married and missing some dinners or canceling holidays last minute because an important business deal got in the way. You still love your spouse to death and are not out chasing a newer model, so you’d not expect to come home and find the husband or the wife threatening divorce. Switching back to the online gaming world: if it comes down to how understanding the casino will be with you, pick one which will not demand an „I love you“ every single day of the year. Some of the online casinos will charge a fee when you’re depositing and/or withdrawing money. If I’m a VIP at one of those, I’ll definitely expect the fees to be waved when the casino processes my financial transactions. Some gambling houses will happily reduce their play-through requirements for a high-roller like yourself, and occasionally offer cash with no strings attached. Others will offer a cashback for testing new game, or even provide one on every single bet you make. Where new games are concerned, VIPs will occasionally be given the opportunity to test them by playing with free money. Other times you’ll be given access to games regular players can’t play, whether it’s a high stake version of classics such as roulette, or a newly launched game that you get to check out first. Participating in monthly prize draws is another one of benefits frequently given to VIP gamers, awarding gifts such as hi-tech gadgets, TVs and laptops, jewellery and tempting weekend getaways. Access to a greater variety of games is not that often featured, but does provide an additional „only for me“ kind of experience, one which money can’t buy (well, it kind of does, actually). The online gaming environment is super-competitive (and more so each day) and we get to enjoy being spoilt for choice. Some fantastic treats are already on offer, with more and bigger benefits to come as casinos fight for valuable players. Yes, that’s you! To get the most out of your gaming experience, in terms of enjoyment and return on investment, check out the options having in mind elements mentioned above. Do not accept uniform proposals and go for the online gaming partners who are willing to recognize your personal needs and react accordingly. Online casinos do not have the huge overhead costs their land-based cousins do, and can therefore afford to spoil you rotten. So step onto the red carpet, have a gloved hand remove that velvet rope, and enjoy being pampered by special treatment and personalizes service. What are Casino Comp Points and How Do They Work? At some point or other you will likely be advised to take advantage of casino comp points and make full use of them. While that may sound like a great idea – if you don’t know what comp points are and how they work then you could find that difficult to accomplish. Simply put, comp points are the casino version of a loyalty program. Essentially these points are accumulated as you play at a casino, and can then be used to claim rewards. In other words, the more you play, the more comp points you’ll accumulate, and the better the rewards will be. The exact form that the loyalty program takes will vary from casino to casino. Originally comp points were introduced in brick and mortar casinos as a loyalty program for its frequent customers. That is still the case in many brick and mortar casinos, though nowadays you can easily apply for a membership card that will allow you to earn comp points while you play. In online casinos things are slightly different. While it still varies from casino to casino, for the most part all players are able to earn points towards the loyalty program based on how much they play. As such, you may already be accumulating comp points – even if you’re unaware that you’re doing so. You can often end up with a nice surprise at the end of a week. Also the rewards offered by brick and mortar casinos differ from online casinos as well. Where brick and mortar casinos tend to offer rewards such as free hotel rooms, free meals, and other perks – online casinos offer bonuses and sometimes access to special tournaments. If you’re interested in taking advantage of comp points, the first step is to find out how the system works in the casino that you’re playing at. The relevant literature will be available at reception or you can ask any member of the floor staff and they’ll be able to give you a thorough explanation of how their particular comp system works. When you look at the comp points’ structure in a casino, be sure to pay close attention to how comp points are earned. Normally the exact amount of points earned will vary based on the game that you’re playing and the amount that you’re betting – though some casinos may have different systems. High stakes tables will usually offer a higher comp rate, this applies to both online and offline casinos – they love to keep the high rollers sweet. On top of that you should also look at the rewards and what will be required to claim them. As a rule of thumb you should try to focus on the rewards that you find more appealing, and not just go for the biggest reward that may often require a lot of comp points to claim. Set your heart on a target or prize and stick to it, don’t let yourself be swayed. Assuming you take full advantage of the comp points program at a casino, you may be able to earn a few nice perks. Whether that consists of a bit of bonus credit to play with, access to some exclusive tournaments, or even a free vacation – who knows. If nothing else, it would be a good idea to find out what you stand to gain. Joining an online high rollers club? There are a small elite group of online casinos that offer very high stakes gambling. They are very well established casinos with massive financial backing to cope with the huge wins that high rolling players can inflict on them. High roller casinos offer VIP clubs and personal account managers who will frequently offer you substantial free bonuses and even give you money back on any losses you might incur. They are able to offer incredible perks like this because they do not share the overheads of VIP land based casinos, so instead of bringing you free drinks and anything your heart desires they simply pass the substantial savings back to you. Most VIP Clubs will offer high rollers personalised rewards like birthday and holiday gifts as well as higher regular bonuses, increased comp point rates, higher game limits than normal and faster withdrawals. You will be able to bypass the usual withdrawal wait by requesting a ‘flush’ where your winnings are passed on straight to your preferred withdrawal method. If you’re a high roller and intend to join a VIP club then it’s important to sign up first so that the casino knows you are serious, once you’ve done this phone them directly and tell them you want to join the VIP club and they will usually be able to offer you an exclusive sign up bonus there and then. 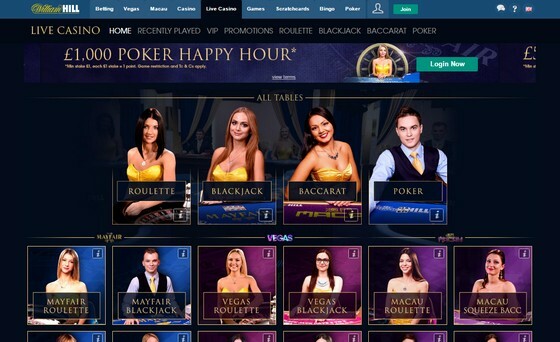 William Hill Casino offer a Blackjack Diamond VIP table at up to £10,000 high bet per hand or £2000 high bet per box when playing multiple hands in one go. These high roller stakes are as high as some exclusive land casino vip clubs in London. The specialist high stakes game here is high roller baccarat. There’s nothing more to baccarat than drawing two cards and trying to get closer to nine than your opponent, it’s the ultimate high stakes shoot-out for gamblers with no fear. High roller baccarat stakes at William Hill VIP go up to £10,000 a bet with £1250 for ties. And the William Hill high roller roulette tables for VIPs allow up to £500 to be bet on each number! The high roller slots at William Hill offer even higher bets than normal. This means that when playing the progressive jackpot slots (with jackpots of well over £1,000,000), high rollers are allowed higher maximum bets and so get a much higher chance of scooping the jackpot than the majority of players who play at low stakes. As a member of the high roller William Hill VIP club you will be automatically assigned your own personal loyalty manager and given the opportunity to play for exclusive VIP prizes such as Champions League tickets, holidays in the Bahamas, golfing weekends with the pros, tickets to the America’s Cup, Las Vegas, Monte Carlo and many many other exciting prizes and cashback promotions. 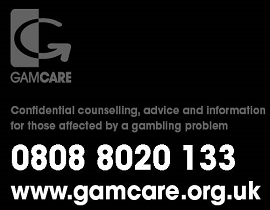 To qualify for the high stakes William Hill VIP gamblers club you need to deposit and play at least 7500 chips per month. 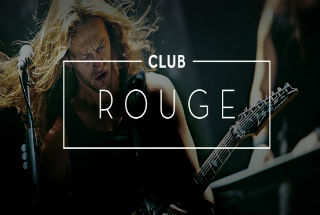 Club Rouge from 32 Red is open to the Platinum tier of their loyalty program by special request, though they may also consider you if you in the Gold tier. When you’ve been accepted as a member of Club Rouge you can expect to be offered many exclusive promotions only available to Club members. On your birthday you receive at least 5000 Red Rubies (comp points), which can be exchanged for cash instantly. You will also regularly be offered 200% deposit bonuses. Other gifts include Cohiba Esplendido Cuban Cigars and bottles of champagne as well as exclusive competitions only available in Club Rouge.